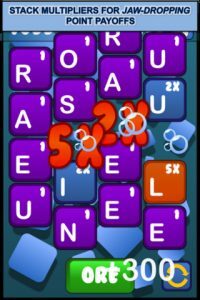 What The Spell!, developed by Reality Apps, is an addictive spelling puzzler for iPhone that’s sure to make you throw other word games by the wayside. While it may be similar to other “build a word” puzzle games like Spelltower or Puzzlejuice, What The Spell! differs in some key ways. First and foremost, the playing area contains fewer letters, making it a smarter choice for younger kids or people with smaller vocabularies. 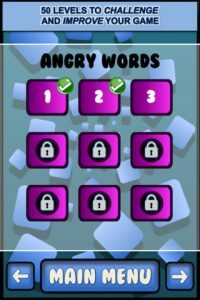 Similar to the unlockable achievements in Puzzlejuice, each level of What The Spell! challenges players to complete a given task. 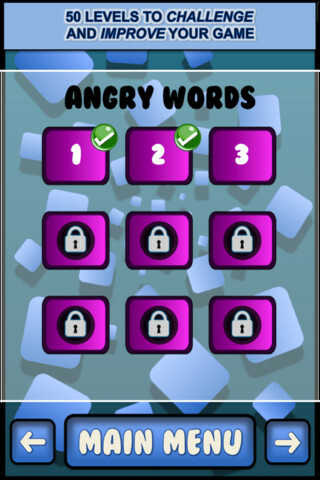 For example, the first level makes you spell 5 words that are at least 3 letters long in a two minute timeframe. This increases the strategy level of the game, and really keeps your on your toes. Adding this level of structure to the gameplay makes for a more intense experience. Another key difference between What The Spell! and its competition is the graphic element. It’s a bit cartoony, with bright colors and an overall feel that’s very kid-friendly. 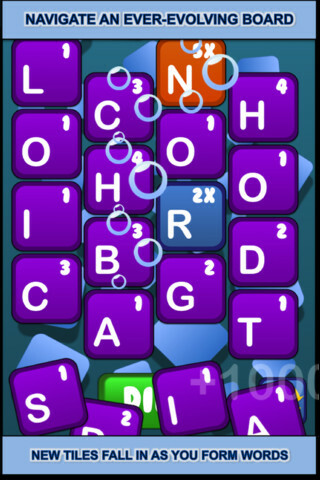 Add in large print letter tiles, and that makes the game suitable for kids, as well as for the elderly who might need larger letters because of eye problems. With 50 levels of gameplay to enjoy, What The Spell! is compelling spelling fun for kids and adults alike. Want to see What The Spell! in action? Check out the trailer here. 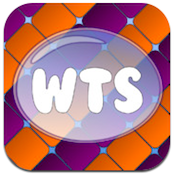 What The Spell!is compatible with iPhone 3GS, iPhone 4, iPhone 4S, iPod touch (3rd generation), iPod touch (4th generation) and iPad. Requires iOS 5.0 or later.